In my opinion, this is the best day to purchase just about anything. Most of my Christmas shopping is held off until today just for this reason. I end up keeping a lot of my money in my wallet, all while purchasing awesome gifts. Who doesn't want that? Blogs are filled with gift guides galore, but I find that none of them really pertain to quirky interests. Like cats!! Cat videos are some of the top watched videos on YouTube. 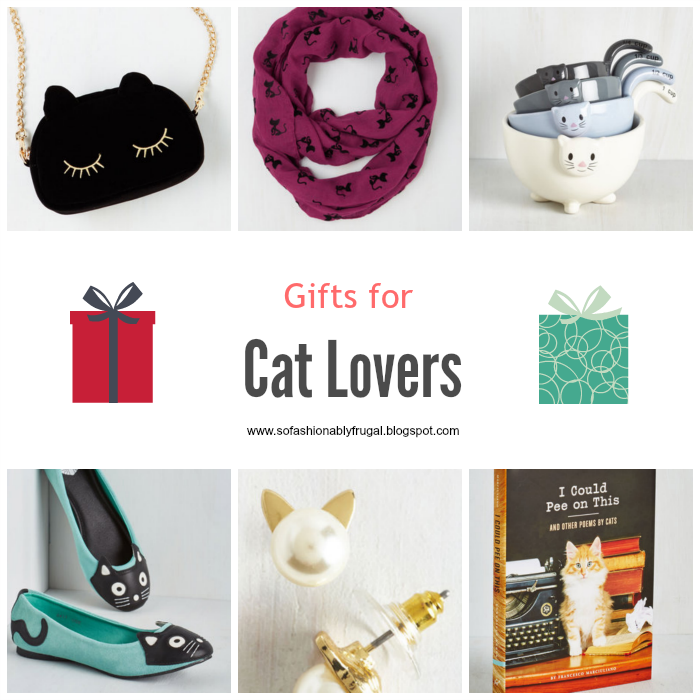 So why aren't there more cat lover gift guides? Who knows! Just know I've got you covered! P.S. -- The slideshow below will show you the current prices at each retailer. Even if it's on SALE!